As a photographer who specializes in documentary and lifestyle work, I thought it would be fun to showcase some creatives as they work at their craft. I'm excited to share with you the first installment of a new personal series entitled "Makers & Artisans" -- for each post I will be highlighting an artist, maker or creative! 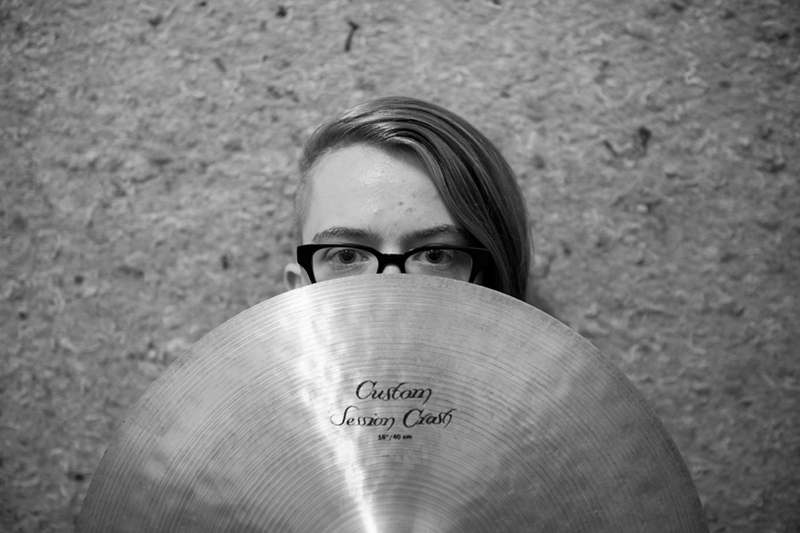 The first in my series is Eva Friedman, a young, up-and-coming drummer. She came to LA in August of 2014, and she's been bangin' the drums for about 15 years. Currently, she plays pop and rock music with acts such as Paget Shand, Carolyn Samuelson, and Staircase Spirits. In a male-dominated industry, she loves seeing that women in music are passionate about helping each other and building each other up. 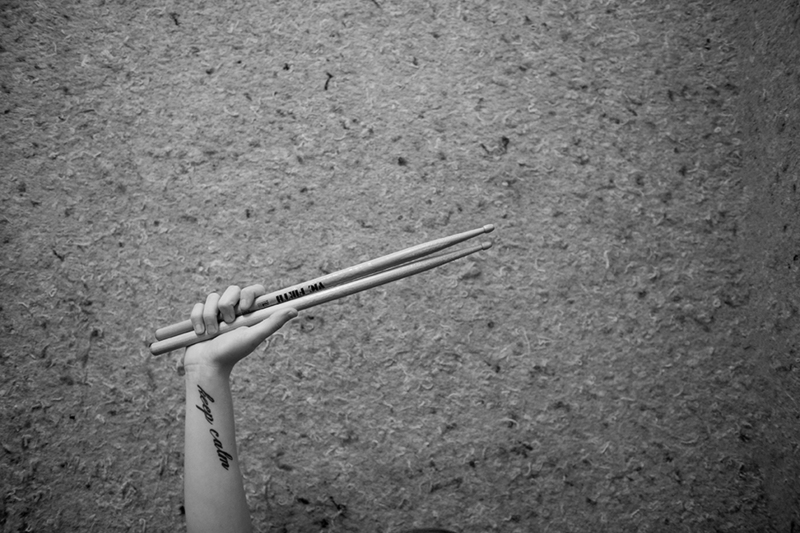 As she continues on her career path, she hopes to inspire more girls to start drumming. 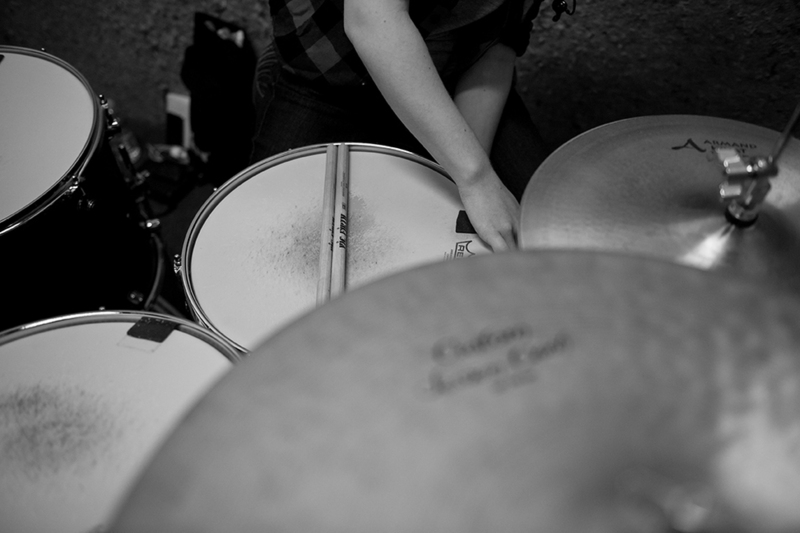 "I've met so many women who had an interest in drumming but had been told at some point that it wasn't a 'girl's instrument' and were steered away. It's very important to me to be able to help other girls and women see that they can do anything they want regardless of what anyone else tells them." Here's Eva in her practice space in Van Nuys, CA.